Le grand Michu is a short story by Zola, often set as a reading exercise for students of French because it’s only a couple of thousand words long and its school setting makes it interesting to young people. 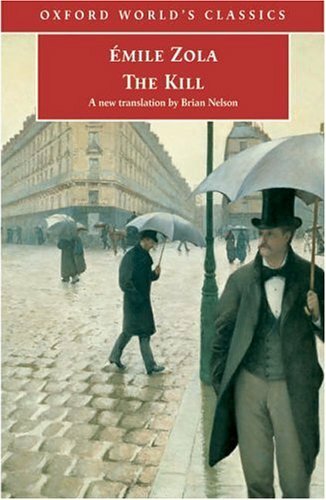 For me, it is my first attempt at reading Zola in French, albeit in a modern edition, and from what I can tell from other online editions, slightly simplified. 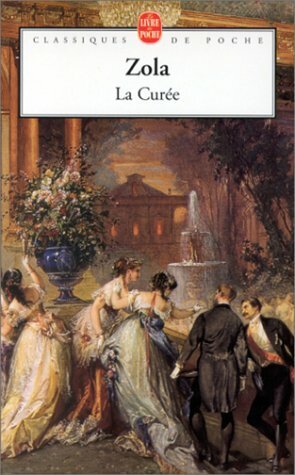 The story was first published in 1870 in la Cloche and was reprinted in 1874 in Nouveau Contes à Ninon. Le grand Michu (Big Michu) is a peasant lad of eighteen who holds enormous sway in the school yard. Big and strong, he is older than the other boys though still not in the eighth grade because he’s one of those boys who finds learning difficult, though once he understands something, he never forgets it. However, the other boys never poke fun at him, indeed they look up to him as their leader. Michu commands the sworn loyalty of these lads, and he gives them courage. The narrator tells us that there is nothing in the world that would make him betray Michu. Zola’s sympathy for student protest and his hostility to the Second Empire is obvious in this short story. (It was published more or less contemporaneously with The Fortune of the Rougons (1871) and The Kill (1871-2). Michu’s father was from the Var, a department in southern France on the Mediterranean, and he fought in the Republican rebellion against Louis Napoleon’s coup d’état in 1851. Left for dead on the battlefield, he was lucky to survive, but came back home determined to educate his son Michu and send him to college. Michu is slow to anger, but he wants to strangle the proctor when he hears him teach that the republicans were thieves and assassins. But it is not until the narrator is older, looking back on his school days that he realises the real cost to Michu in leading their youthful revolt against the school meals. They have a particular disdain for codfish in red sauce (tomato sauce, presumably) and for beans in white sauce – so they decide that they will boycott these meals. They have no hesitation in appointing Michu as their leader, but for Michu, a big boy with an insatiable appetite, it turns out that hunger is not his only sacrifice. When things get out of hand and the revolt turns into a revolution, the boys barricade the refectory under his leadership and sing la Marseillaise. In the three hours it takes for the proctor to get help, the boys calm down and most of them leave via the windows. Michu sees the narrator’s hesitation and releases him from his promise to be loyal forever. It is enough, he says, for there to be just one of the guilty to take the consequences. But by leaving Michu in the lurch the others have set him up for the school authorities to take their revenge. And, just like Napoleon’s purges which took place after the coup d’état, the school rids itself of trouble. By following in his father’s footsteps, and making this ‘heroic sacrifice for the public good’, Michu is expelled.